In my last blog post, I wrote that the seating order tells a story and that the room set-up is a choice. Last week I observed waiters in a little restaurant on the islands of Tenerife doing their work. The terrace was full; it was lunch time. They not only took orders, balanced plates of fried fish, salads and drinks; they also swung tables and chairs into the air to accommodate more guests. 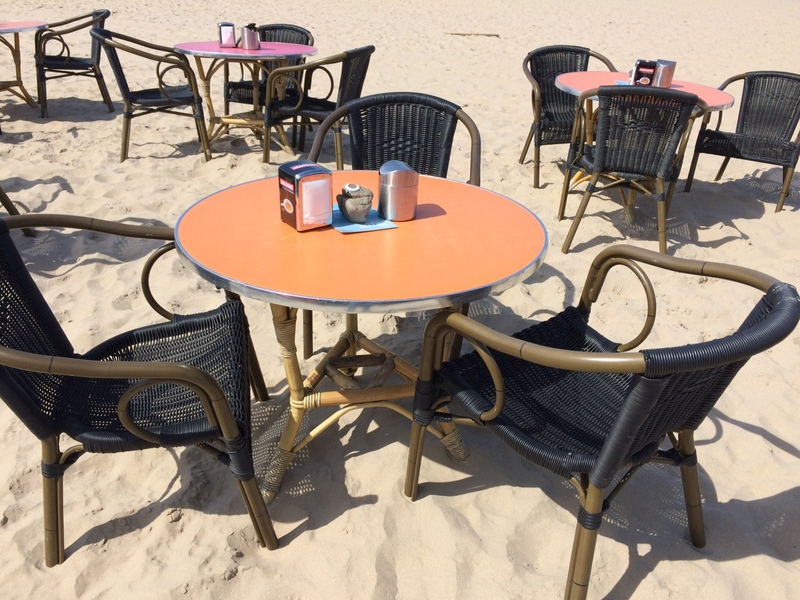 Tables for two or four or six; in the sun or in the shade. The guests’ wishes were accommodated. As soon as a table freed up, they rearranged tables and chairs with a smile on their faces. Let’s play the meeting room chair game. Close your eyes and imagine you enter a meeting room with chairs and tables arranged in rows. What will happen here? Now imagine the traditional U-shape kind of arrangement of chairs and tables. What do you expect with this seating order? Now imagine you enter a room with chairs standing in a circle, no tables. How do you feel about this environment? Now you see a room with no chairs at all, but plenty of flipcharts and wallpaper. What is supposed to happen here? It is astonishingly simple, isn’t it? The arrangement of tables and chairs is speaking to us. What we discover when we enter a workshop room as participants gives us a clue about what will happen. This is the facilitators’ work. The right room arrangement is not simple; and not a coincidence either, it is defined by the workshop’s purpose. Next time I facilitate a workshop I will dream of the light and simple chairs and little round tables the waiters in Tenerife were swinging around with a smile. As facilitators, we often rearrange the workshop room for the next session: chairs in two lines for speed networking; chairs around flipcharts for small group work; chairs in a circle for plenary discussion, etc. Removing chairs and adding whiteboards are low-cost options that encourage brainstorming and collaboration. Enough wall space for wall paper as pinboards are often not sufficient and fast filled. The spaces in which we live and work are the stages on which we play out our lives. The worst are tables and chairs that are screwed together, not moveable. In this case, we have only one choice: facilitator and participants must be flexible, with a smile as the waiters in Tenerife.